oOh!media has strengthened its Out Of Home market leadership in South Australia by winning a major government contract for 40 large format billboards across Adelaide’s metropolitan area. The competitive tender by the SA Government’s Department of Planning, Transport and Infrastructure was successfully retained by oOh!, which has held it since its acquisition of Russell Ads in the early 2000s. oOh!’s Group Director Road, Noel Cook told us that the long-term agreement gives oOh! the rights to deliver advertising on the existing suite of 40 classic billboards and upgrade key strategic locations to digital, “Continuing this contract with the SA Government demonstrates our success and proven capabilities in fostering long-term relationships with government partners. It also reinforces our reputation as a trusted commercial partner with governments across NSW, Victoria, Queensland and SA. The company has also added another key advertising site in Adelaide to its growing national portfolio of digital billboards and strengthened its position as the largest-reaching digital Out Of Home network in Adelaide’s CBD. oOh! recently converted a prominent billboard at the intersection of West Terrace and Franklin Street which overlooks traffic driving into the city from Sir Donald Bradman Drive. 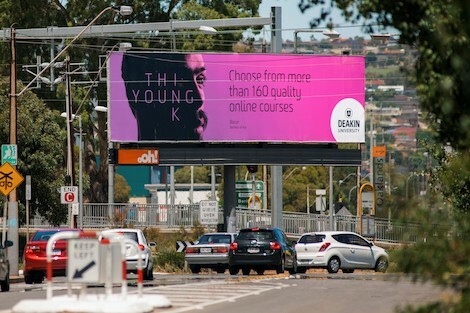 In its first week of operation, Adelaide’s newest digital billboard has attracted key SA advertisers such as Flinders University and the RAA and national advertisers including Samsung and Hyundai. This entry was posted on Monday, June 19th, 2017 at 16:03 @710 and is filed under DailyDOOH Update. You can follow any responses to this entry through the RSS 2.0 feed. You can leave a response, or trackback from your own site.